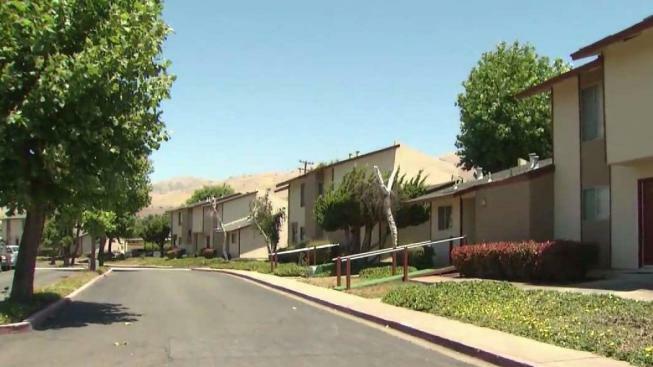 The Milpitas City Council on Tuesday night will consider two emergency measures that could impact the future of thousands of renters in the city. The council will discuss a proposed moratorium on razing affordable housing complexes, which would slow down or stop evictions ato one complex, and a "just cause" ordinance that would protect tenants from eviction if they haven’t done anything wrong. Many tenants groups are applauding Milpitas for even taking up the "just cause" issue so quickly after San Jose’s long, drawn-out fight. And a large group of tenants currently facing evictions plans to show up at the Tuesday meeting to let the council know they need that protection. Hien La and her family have lived at the 171-unit Sunnyhills Apartments for 12 years. The family pays around $535 a month for a three-bedroom unit at the federally subsidized HUD housing complex. But in January, owner JMK Investments sent residents a required notice, saying it would not renew its HUD contract when it expires in February 2018. The owner has indicated it would like to replace the apartments with townhouses or convert to market rate rentals. La said she can’t afford either option, and the prospect of leaving her community is traumatic. "We go to the doctors, and we go to the church and the supermarket, and everything is very familiar for us," La said. "So it’s very hard for us to find another place." The city responded with the two urgency measures. The temporary moratorium can be renewed every 45 days, and the "just cause" ordinance specifies under what circumstances landlords are able to evict tenants. "It basically says landlords have the right to evict tenants who are not following the rules, breaking the law, not paying their rent," said Allysson McDonald, president of the Sunnyhills Neighborhood Association. But the association says it’s hard to say how much the new rules would help Sunnyhills tenants. They really want the city, the building owner and HUD to work something out. "Because once we have to move out of here, we become homeless," La said. The Milpitas meeting is expected to add momentum for groups pushing to make "just cause" ordinances a Bay Area-wide issue. Santa Clara already is debating it, and Santa Clara County leaders have been discussing it.